When you want to make a statement, the Beverly Black Chiffon Corset Dress is your best choice. This sultry sleeveless dress creates a flattering silhouette with its corset bodice before continuing in an elegant layered chiffon skirt. 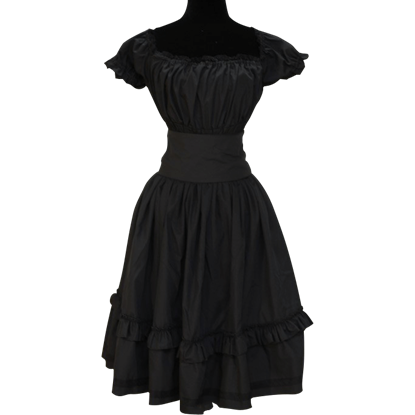 When you want to make a statement, the Beverly Black Taffeta Corset Dress is your best choice. This sultry sleeveless dress creates a flattering silhouette with its corset bodice before continuing in an elegant layered lace skirt. 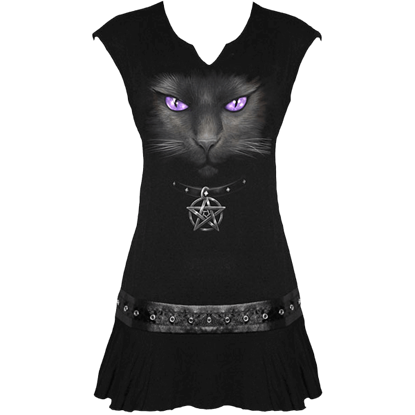 Gothic and bewitching, this Black Cat Womens Studded Waist Dress is a garment that combines a witchs best friend with modern apparel to create something that any contemporary witch would be rather happy to own and wear. Fans of gothabilly subculture are sure to enjoy the look of the Black Gothabilly Dress, as it can be accessorized in a range of ways. This comfortable gothic dress can be worn for almost any occasion, especially on summer days. 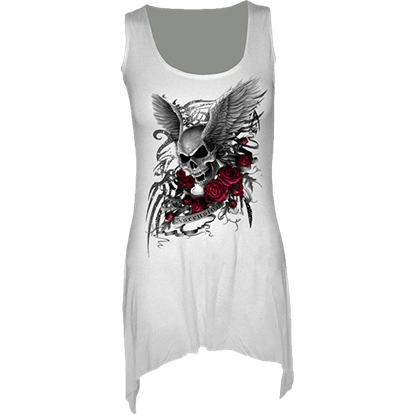 Are you looking to add a touch of gothic style to your attire? Perhaps you need an elegant dress to show off your own great gothic style? If either are true, then this Black Gothique Lace Dress is just what you have been looking for. No one ever said that gothic style had to be dark and dour. It can be fun, fashionable, and even flirty, if you let it. 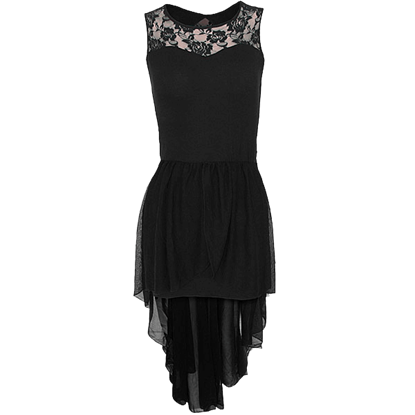 This Black Lace Detailed Gothic Dress is proof of that, as it is a casual, short dress for a girl to wear and enjoy. 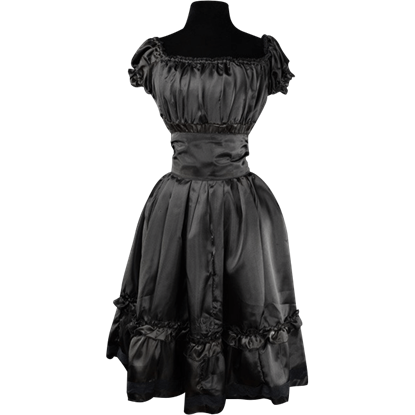 Fans of gothabilly subculture are sure to enjoy the elegant look of the Black Satin Gothabilly Dress with its shiny, silky material. This sleek gothic dress makes a stunning option for formal occasions and summer days. Usually, if there is a blood moon in the sky, the last place you want to be is outside at night. This Blood Moon Gothic Womens Dress allows you to enjoy this rare lunar phase in perfect safety by transforming it into a wicked design.